A little bit about me, I’m a self-proclaimed “Jack-of-all-trades”; however, I do have a Bachelor’s of Science Degree from Ball State University in Criminal Justice and Political Science. I held positions in Adult Probation and Youth Detention before changing gears and heading into Corporate America to enjoy a successful career in sales. After our third daughter was born, my job became full-time Mom and the high heels were traded in for sneakers and messy buns. I continued to stay connected through volunteering, as well as working part-time at the Fishers Y, helping launch Livestrong at the YMCA, an exerise program for cancer survivors. I live in Fishers with my three daughters; Bailey, Sydney and Mia, my hubby Bryant and crazy Great Dane Blu. I’m very excited to be with YMI. Over the past twenty years I have worked as a youth leader in two different churches, a youth worker in a group home and with the Foster Care system. I’ve worked on several different research projects mandated by Congress to better improve the child welfare system. I attended Crossroads Bible College with my Biblical Counseling degree. Ten years ago I focused on staying home with my kids but also volunteered and served as the Troop Coordinator for 8 years with American Heritage Girls. I share life with my husband, Garry and our four blessings. Cassidy, Annalee, Colton, and Addison. I love the outdoors, music and camping with my family. I have been with YMI since May of 2016 as an Event Planner, Administrator, and now as the Director of Operations. I graduated from Ball State University with a Bachelor’s of Arts degree in Legal Administration. I Started my career as the Legal Administrator for a law firm in downtown Indianapolis, where I worked for seven years prior to starting my family with my husband Steve. Between my career as a Legal Administrator and YMI, I chose to stay home and focus my talents on raising my children and volunteering in our community. Myself and Steve, an attorney in Indianapolis, have three children: Jacob, Hannah, and Emma. I am excited to be on this journey with YMI. I have been working with teens in various capacities for over 25 years including teen mom support groups, church youth groups and missions. I received my M.Ed in School Counseling in 2010 and worked in both an International and private Christian school. I currently volunteer with Outreach Inc, working with homeless teens and Child Advocates, working with children in foster care. I have 5 children and a grandson, whom I adore. Besides hanging out with them, I enjoy yoga, swimming, travel and serving God however He leads. I’ve been a volunteer Mentor for YMI since 2016. I truly believe in the mission of YMI and our wonderful founder, Darren Heil, as well as the strong, intelligent, and courageous women who are the driving force behind it. In addition to my capacity as Student Mentor, I am honored and excited to now serve as YMI’s Campus Coordinator for both Fall Creek Intermediate and Junior High Schools. My name is Jessica Christianson and I’m thrilled to be joining the YMI family! I’ve held various job titles over the years, but my number one passion has stayed the same: developing people and creating environments where they grow and thrive. I currently live out this passion as the Campus Coordinator at Sand Creek Intermediate and Fishers Junior High. My name is Courtney Lawhead and I am originally from Ft. Wayne, Indiana. I grew up in a big family and spent many summers while growing up as a nanny for other large families as I have always enjoyed working with children. I feel God has blessed me and my family so I am thrilled to have this opportunity to serve with YMI and hopefully make a positive impact in the lives of others. Over the past twenty years, I have held positions serving youth as a substitute teacher, behavioral specialist, life coach, and family coordinator. At my church, I serve as a youth advisor and I oversee our youth dance team. I truly believe that mentorship is one of the most effective catalyst that fosters personal enrichment in the lives of our youth. This is why I am so excited to be a part of this movement towards positive change through the YMI program as a Campus Coordinator. Hello, my name is Nancy Foley. I am originally from Michigan, but I moved to Indiana while in junior high school. I have worked and volunteered in the HSE school system, in various capacities, for the last 15+ years. I have been with YMI as a Mentor since 2017, and now I am excited and proud to be affiliated with YMI as the Campus Coach for HSE High School. 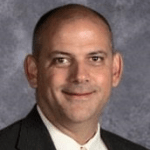 Matt Kegley is in his sixth year as principal of Hamilton Southeastern High School. In his over twenty year career in education, Matt has taught and served in administration in schools of various secondary grade configurations. 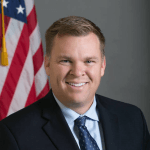 Matt has worked in Waldron and Huntington before coming to the HSE School District. Matt is married to his wife Jennifer and they have three children; Olivia, Sophia, and Isaiah. 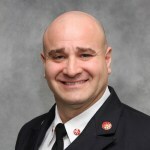 Steven Orusa is Fire Chief for the Fishers Department of Fire and Emergency Services since 2011. He has served over 33 years in law enforcement and fire service positions. He serves on the following non for profit boards: City of Fishers Youth Mentoring Initiative (YMI), Hamilton County Humane Society, Leslie Anne Hulse Foundation (Human Trafficking), and the International Association of Dive Rescue Specialists (IADRS) board of directors. Steven grew up in Chicago, Illinois, receiving his bachelor’s degree from Western Illinois University in 1983. His graduate work is in Human Resource Management. He is a published author and frequently invited speaker on public safety leadership and development techniques. He has provided analysis on public safety response for USA Today, Fire Chief Magazine, Fire Engineering Magazine, and has also appeared on BBC, MSNBC, Fox News, and CNN to provide expert analysis on disaster response. 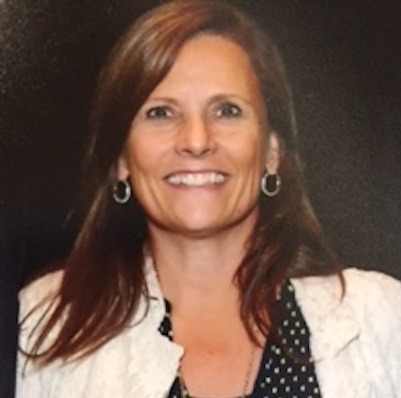 Crystal Murff Thorpe is the very proud principal at Fishers Junior High School in the Hamilton Southeastern School District and has served in this position for ten years. She began her career as a high school English teacher and later served as an assistant principal in both MSD Perry Township and MSD Wayne Township. She earned her undergraduate degree from Indiana University, her master’s degree from Butler University, and is currently completing her PhD at Indiana State University in educational leadership. She is also the Principal-in-Residence at the University of Indianapolis where she trains future school leaders. Crystal has been featured in the Fishers Current newspaper, received the Ford Motor Company Unsung Hero Award, and was honored in Who’s Who in Black Indianapolis for Academia. 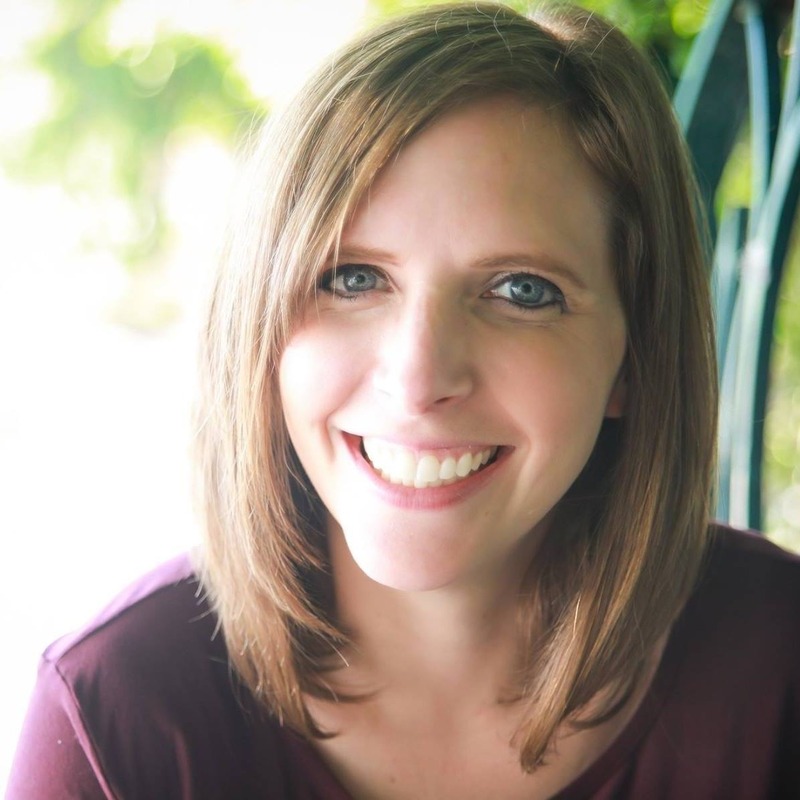 She has provided professional development to HSE schools on fundamental classroom conditions and has been a guest speaker at Ball State University. Todd Zimmerman is currently a Property and Casual Advisor at Conner Insurance. Todd brings over a decade of asset protection and loss prevention experience to Conner’s diverse pool of insurance expertise. Spearheading loss prevention efforts for national retailers hhgregg and Macy’s have demonstrated an innovative thought process and affinity for leadership, positioning Todd as a thought leader in his field. His past work has placed him on both sides of the insurance transaction, allowing Todd to approach P&C recommendations from multiple angles, exhibiting a comprehensive understanding of client needs. Betsy Block has been a resident of Fishers since 1992. She and her husband, city councilman Rich Block, have raised four children here and have served the youth of our community in many different ways. Betsy has worked on the PTO of several Hamilton Southeastern Schools, the Children’s Museum of Indianapolis guild, St. Vincent Peyton Manning Children’s Hospital Hero project, participated in Oprah’s Big Give for Third Phase Women’s Shelter and has served on various church boards and committees. 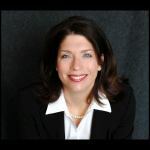 Professionally, she works as a healthcare consultant for IBM Watson Health and has more than 20 years of experience in healthcare marketing and strategic planning. She works with hospitals to design business development strategy for optimal performance under value-based care. Betsy is starting her second year as a YMI mentor and has experienced the incredible impact these relationships can have on a child’s life. Ashley leads the communications strategy and media relations for the City of Fishers as its public relations director. With over a decade of communications experience in the non-profit and public sectors, she directs strategy for major projects including the Fishers Mental Health Initiative and the city’s partnership with Hamilton Southeastern Schools, CurioCity. Ashley holds a Bachelors Degree in Business from Indiana University and lives in Fishers with her husband and two children.